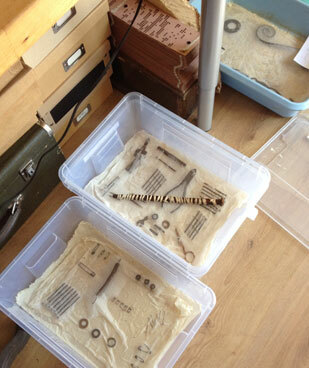 An experimental day creating a number of small or one larger sampler piece(s) made from a crazy patchwork of rusted fabrics. 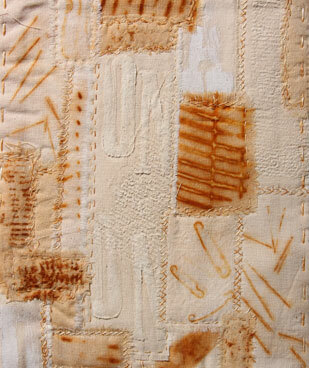 We will start the day by using different metal objects to create rust imprints on calico and muslin. 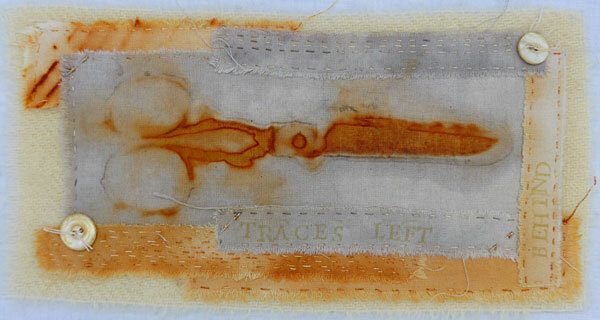 As it takes time for the rust prints to develop you will then make your sampler piece from previously imprinted fabrics. 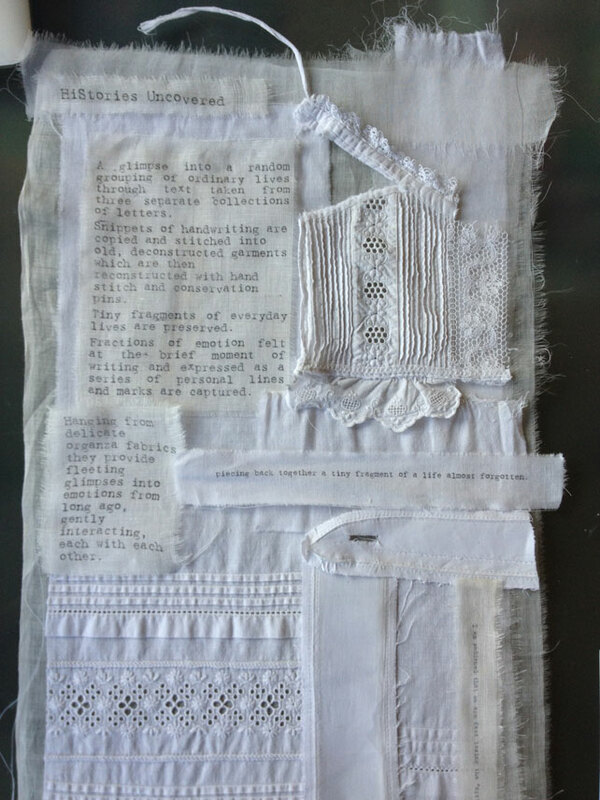 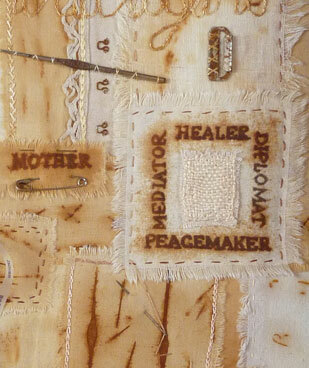 These will be constructed as a crazy patchwork of ripped, rusted fabrics pieced and hand stitched together. 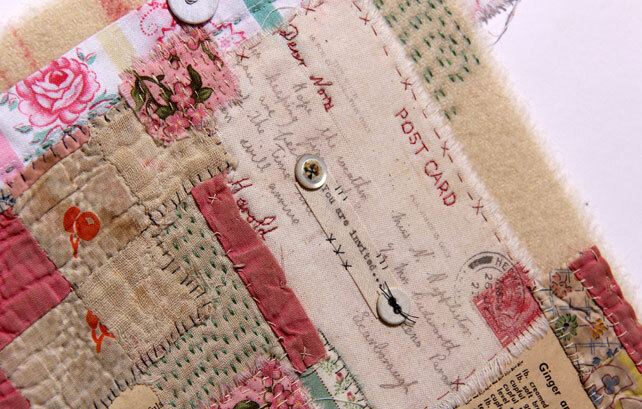 You may not complete the stitching on your samplers during the workshop but you will leave full of ideas of how to finish them at home. 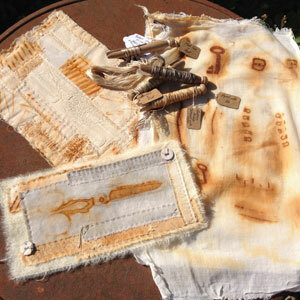 You will also receive the pieces of fabric with your own rust imprints so that you can use them in later projects.